GALVESTON, TX (KTRK) -- While enjoying a day of fun near Pirates Bay in Galveston, 6-year-old Marin Alice Melton was playing in the water and having a great time with her parents and sibling. In the shallow water, Marin was bitten by a shark on her lower leg Tuesday, June 14, and has been hospitalized since for surgery and recovery. 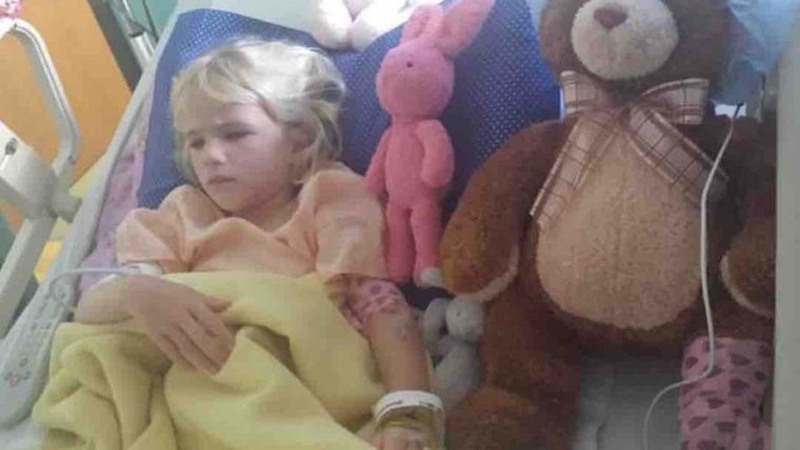 "Our sweet Marin Alice Melton is recovering from a shark bite from Pirates Beach in Galveston," Matthew posted on his GoFundMe.com page set-up to help with medical expenses for Marin. "She resides at the UTMB hospital in Galveston. Marin is supported by her loving Melton/ Corbett/DeYoung/Ritter/Hudson family. She welcomes prayers for the restoration of her lower left leg and foot. For more on this story, go to our partner Houston Community Newspapers' The Humble Observer.